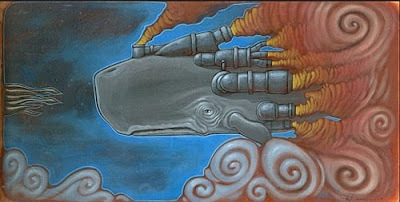 Ananka's Diary: Exploding Whales: Keep Your Distance! I haven't written a really gross post in quite some time. And since it's Friday evening, I figure you all need a little shock to your systems after a long week of classes and homework. So here's the question of the day . . . What do you do with an eight-ton whale carcass that's washed ashore on your local beach? It's too heavy to move, too big to bury. Perhaps a little T-N-T might do the trick? Read more about exploding whales and see at least one really nasty picture here. Haha! That's kind of funny, but sad for the whale at the same time. Who thought of the idea to blow it up? Stupid idea. LOL. That is pretty funny and gross, but... I guess words can't discribe it. THAT WAS HILARIOUS!!!!!!! I can't wait to watch it again! Ha ha ha!!!!!! P.S. Is there going to be a third book? What is it going to be called. I want the series to go on forever. I love it SO much. I have told all my friends about it. This is the coolest blog! Cna I join or be a member of the blog or whatever? Kiki Strike: Absolutely. All you have to do is show up! I watched the video, and I don't think I want to see anymore. Somehow it's funny, but at the same time... wow. .... wow...... mankind scares me at how stupid it can be. isn't it startling that 9-year-olds (my little sister) can be smarter than adults? and how adults are all "children should be seen and not heard" it's nonsense.